Country’s leading car maker Maruti Suzuki India Limited is all set to launch the refreshed version of mid-sized sedan Ciaz in Indian car market on August 20, 2018. Prior to this, the Indo-Japanese car maker has commenced the bookings for same at down payment starting from Rs. 10,000 to Rs. 25,000. Along with the company has also revealed some of the details about features that would be offered in refreshed Ciaz. According to reports received from company sources, the petrol variant of facelift Ciaz will be empowered with the new 1.5 litre 4-cylinder petrol engine embellished with mild smart hybrid vehicle system technology. With this the Ciaz 2018 will become the first petrol vehicle by MSIL that will be offered with SHVS technology. 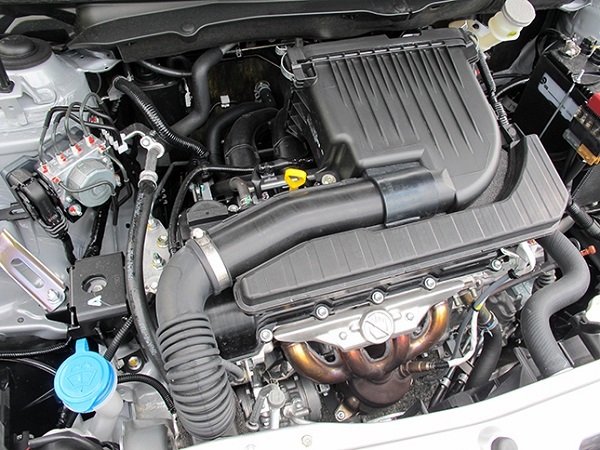 The 1.5 litre K15 engine that would be empowered in the mid-sized sedan is similar to one offered in international variant of Ertiga hatchback. This engine will develop the power of 105 bhp and torque of 138 NM and mated with five-speed manual gearbox system along with an option of five-speed AMT transmission system, most probably on top end trims. The diesel variant will be continued with existing G13B 4 cylinder turbocharged engine that is capable of boosting the power of 90 bhp and torque of 200 Nm. The exterior portion will receive dynamic front fascia with a set of new headlamps,a refreshed grille and a new bumper. The rear portion will also receive new bumper and alloy wheels. On the interior front, it will receive upgraded dashboard with subtle changes in from light wood accents followed by a new instrument cluster, Apple CarPlay, android auto and touchscreen infotainment system with an inbuilt navigation system.